i would love to try the natural lavendar fabric softber. i love lavendar! I would like to try the Facial Tissue. Hopefully it's not glorified sandpaper. I would like to try the bathroom cleaner and the toilet bowl cleaner. Thanks for the giveaway. I am a facebook fan (that's how I go to the giveaway). I would like to try the Auto Dish Wash Gel. I'd love to try their paper towels! I would like to try the 2X HE Liquid Detergent Natural Lavender. I like their facial tissues. 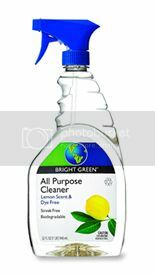 Toilet Bowl Cleaner - 24oz , I am always looking to find a greener toilet cleaner that works as well as I want it to work. E-mail subscribed and getting the e-mails already. 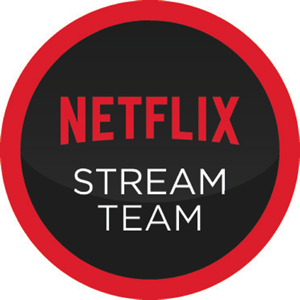 have been following on Twitter and tweeter. I'd like to try the Light Bulbs. I think their chlorine free laundry bleach would be interesting to try. Thanks. I'd love to try the Fabric Softener Liquid - Natural Lavender. I want to try the recycled paper towels and napkins! I would like to try the floor care. The CFL Twist Bulb and facial tissues would be what I'd try! I'd like to try the floor care. All of it sounds good to me though! I would love to try the Liquid Detergent Free & Clear and the Bleach without the bad stuff. 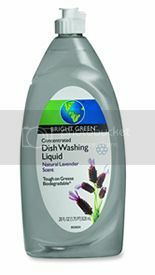 One product I'd like to try is the Fabric Softener Liquid - Natural Lavender. Thanks. The natural fabric softner sounds like something good to try. I also love that there are recipes and tips on the web site. I would try the biodegradable facial tissues! I would like their CFL Twist Bulb - 23 watt. It gives the equivalent of 100 watts of light. I would love to try the Facial Tissue - 150ct! We have alot of allergies, so we use these alot. I'll try the toilet bowl cleaner. I'm gonna have to go for the CFL Twist Bulb 18watt 2ct. i'd like to try the 2x liquid detergent free and clear. like to try lavender softner. Would love to try the 2X HE Liquid Detergent Free & Clear laundry soap. Oh, the lavendar fabric softener sounds nice. I'd love to try the Toilet Bowl Cleaner! I would try the light bulb and bath tissue. I follow your blog as kngmckellar and subscribe. Fabric Softener Liquid would be my choice to try! Thanks for a great giveaway! I'd like to try the HE lavender laundry detergent. I'd like to try the toilet cleaner. I'd like to try the bathroom cleaner and floor cleaner! Bright Green Products are awful! I'm environmentally sensitive and I'm always looking for non-toxic cleaning products. I bought a bottle of Bright Green Dish Soap. It was a NIGHTMARE! There was a musky smell that barely hid the noxious smell. The worst part was that it stuck to everything. Plastic bowls absorbed the smell quickly as did my hands. Never again! Back to Biokleen, Planet or 7th Generation.